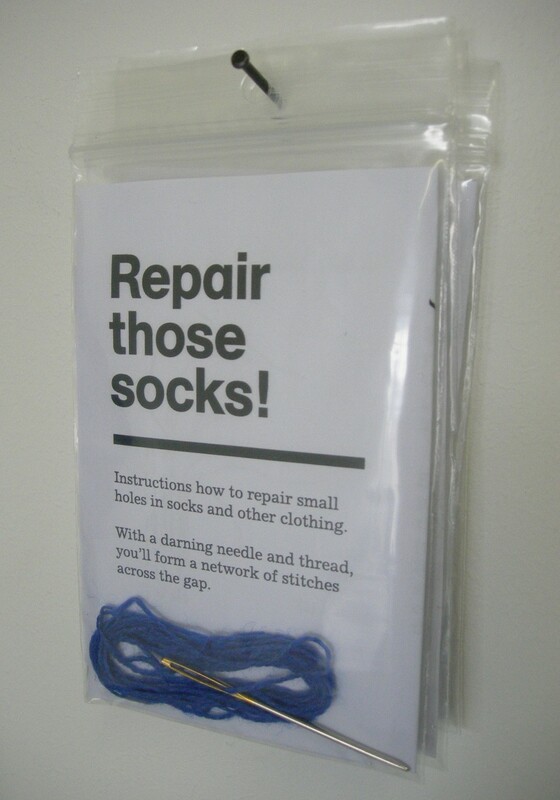 We know about recycling and re-using, but shouldn’t repairing be the first thing we think about? 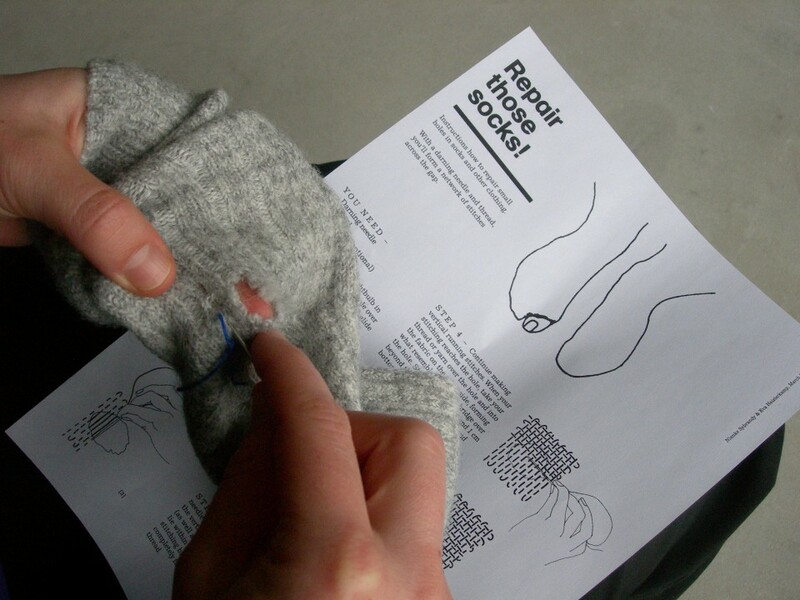 For us, the icon of repairing is darning socks. When I was a kid and used to moan about small things, my dad used to tell me about his youth and how he always had to darn his socks even when he didn’t feel like it. Nowadays nobody seems to care. We just throw our socks away. 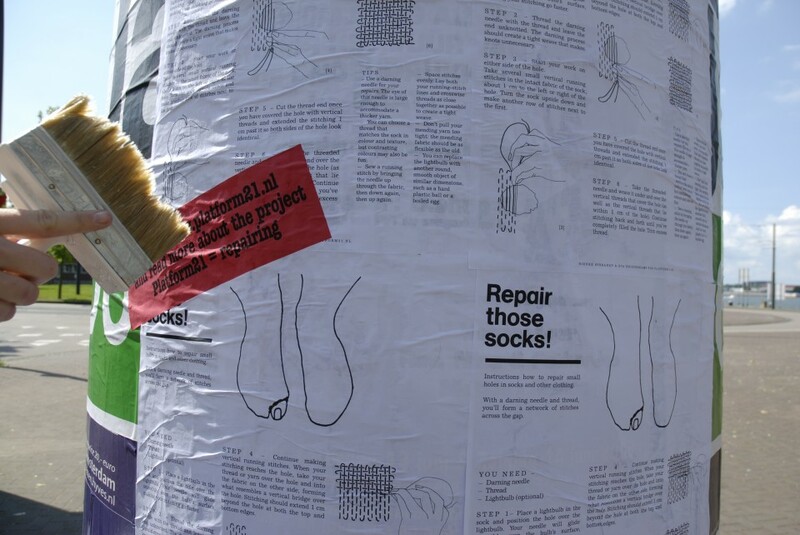 Not only because we no longer know how to darn socks, but also because we don’t appreciate the beauty of things that show signs of having been repaired. Together with Eva Heisterkamp, I took up the challenge of not forgetting this technique but actually using it to make new things. But when we started to think about new applications, we came to the conclusion that the technique itself is so beautiful that it stands on its own. 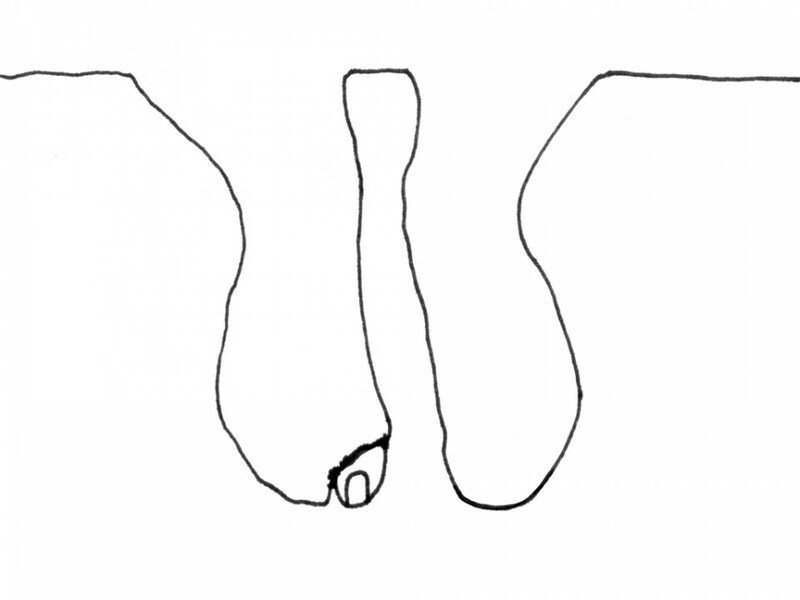 Darning combines weaving and knitting and the result resembles embroidery. 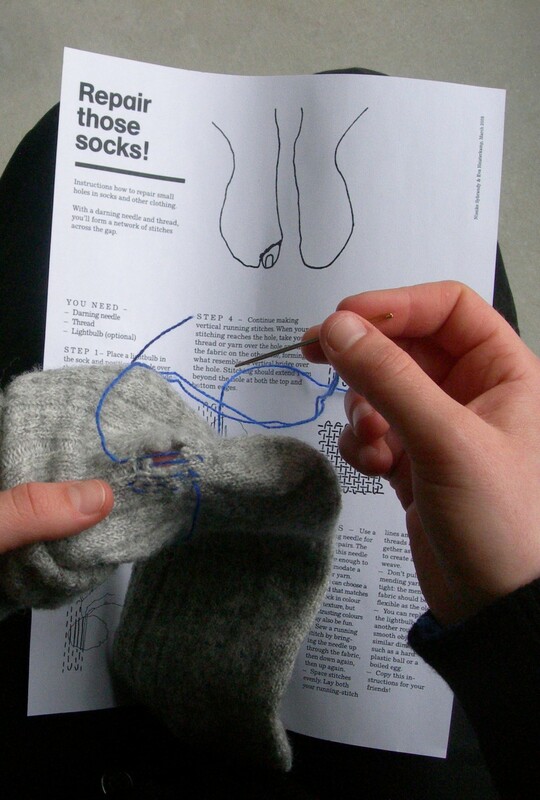 We want to share our enthusiasm so that more people will learn to appreciate darning again. By making a poster and leaflets that provide instructions, we are trying to explain and popularize the technique, and we hope to receive fine examples and stories in return. 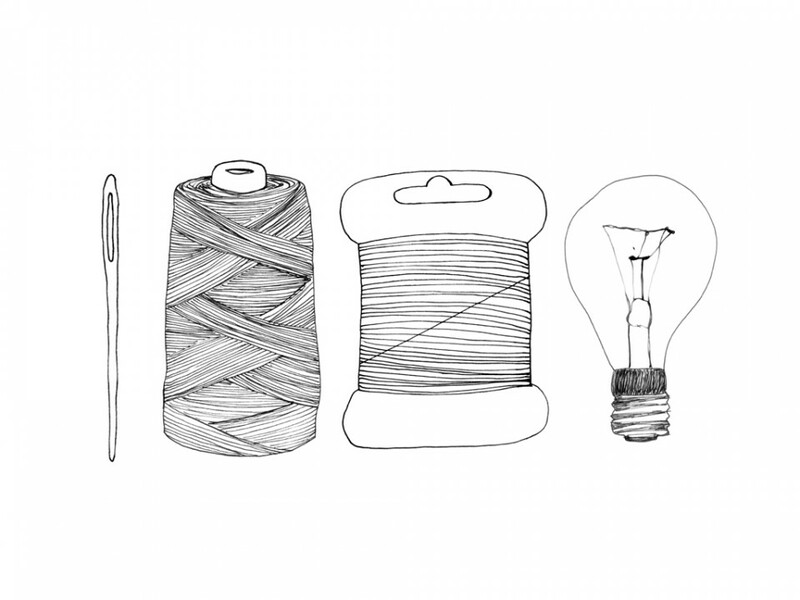 We will use all the results to continue and extend our research into textile repairs.